Flow-control valves are used to control an actuator’s speed by metering flow. Metering is measuring or regulating the flow rate to or from an actuator. A water faucet is an example of a flow-control valve. Flow rate varies as a faucet handle is turned clockwise or counterclockwise. In a closed position, flow stops. Many flow-control valves used in fluid-powered systems are similar in design and operation to a water faucet’s. In hydraulic circuits, flow-control valves are generally used to control the speed of hydraulic motors and work spindles and the travel rates of tool heads or slides. Flow-control valves incorporate an integral pressure compensator, which causes the flow rate to remain substantially uniform regardless of changes in workload. A nonpressure, compensated flow control, such as a needle valve or fixed restriction, allows changes in the flow rate when pressure drop through it changes. Variations of the basic flow-control valves are the flow-control-and-check valves and the flow-control-and-overload relief valves. Models in the flow-control-and-check-valve series incorporate an integral check valve to allow reverse free flow. Models in the flow-controland- overload-relief-valve series incorporate an integral relief valve to limit system pressure. Some of these valves are gasket-mounted, and some are panel-mounted. a. Gate Valve. In this type of valve, a wedge or gate controls the flow. 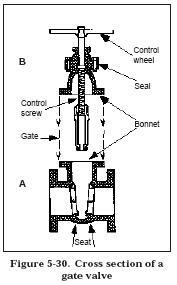 To open and close a passage, a handwheel moves a wedge or gate up and down across a flow line. 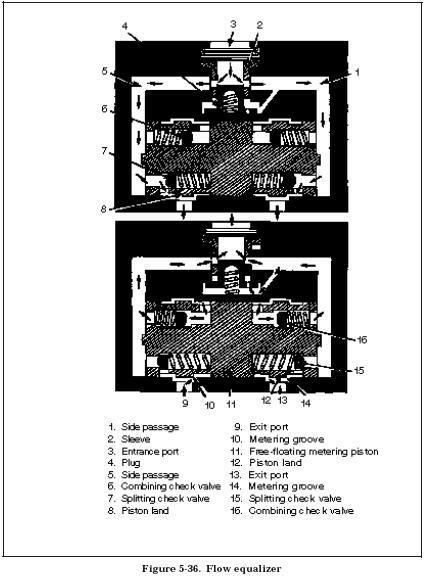 Figure 5-30,shows the principal elements of a gate valve. Area A shows the line connection and the outside structure of the valve; area B shows the wedge or gate inside the valve and the stem to which the gate and the handwheel are attached. When the valve is opened, the gate stands up inside the bonnet with its bottom flush with the wall of the line. When the valve is closed, the gate blocks the flow by standing straight across the line where it rests firmly against the two seats that extend completely around the line. A gate valve allows a straight flow and offers little or no resistance to the fluid flow when the valve is completely open. Sometimes a gate valve is in the partially open position to restrict the flow rate. However, its main use is in the fully open or fully closed positions. If the valve is left partly open, the valve’s face stands in the fluid flow, which will act on the face and cause it to erode. b. Globe Valve. A disc, which is screwed directly on the end of the stem, is the controlling member of a globe valve. 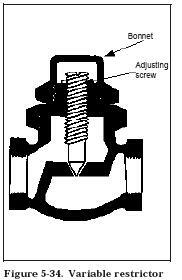 A valve is closed by lowering a disc into a valve seat. Since fluid flows equally on all sides of the center of support when a valve is open, there is no unbalanced pressure on a disc to cause uneven wear. 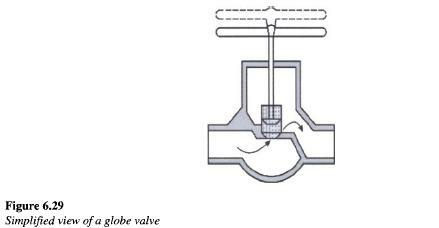 Figure 5-31 shows a globe valve. • Into delicate gauges, which could be damaged if high-pressure fluid was suddenly delivered. • At the end of an operation when work motion should halt slowly. • At other points where precise flow adjustments are necessary. • At points where a small flow rate is desired. d. Restrictor. A restrictor is used in liquid-powered systems to limit the movement speed of certain actuating devices by limiting flow rate in a line. Figure 5-33 shows a fixed restrictor. Figure 5-34 shows a variable restrictor, which varies the restriction amount and is a modified needle valve. This valve can be preadjusted to alter the operating time of a particular subsystem. Also, it can be adjusted to meet the requirements of a particular system. 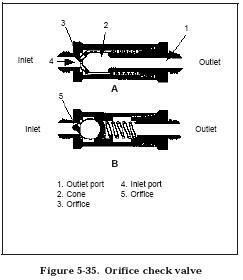 e. Orifice Check Valve. This valve is used in liquid powered systems to allow normal speed of operation in one direction and limited speed in another. 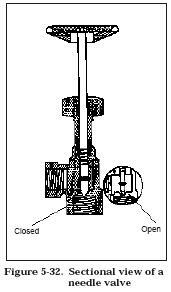 Figure 5-35 shows two orifice check valves. units’ movements during both operational directions. • Splitting check valves 7 and 15. • Metering grooves 10 and 14. • Ports 9 and 13. • The connecting lines to the actuating cylinders. Any difference in the flow rate between the two passages results in a pressure differential between these two passages. Free-floating metering piston 11 shifts to equalize the internal pressure, equalizing the flow.